The painting “The figure in the landscape” of Francis Bacon is written in gray-green and black colors. The echo of the bloodiest war that took millions of human lives and left a scorched earth and human grief after it, as if it had come to our days. When the Second World War began, the artist lived in London and the terrible bombing pictures, the bloody bodies of hundreds and thousands of wounded, hungry crying children forever crashed into the memory and heart of the artist, reflecting on his work. The fragments of sticking tools, a strip of blue sky and dark grass scattered across the canvas are written with nervous, as if pencil strokes. The impression of horror strengthens the image of the broken male figure in the black opening of the narrow tunnel. 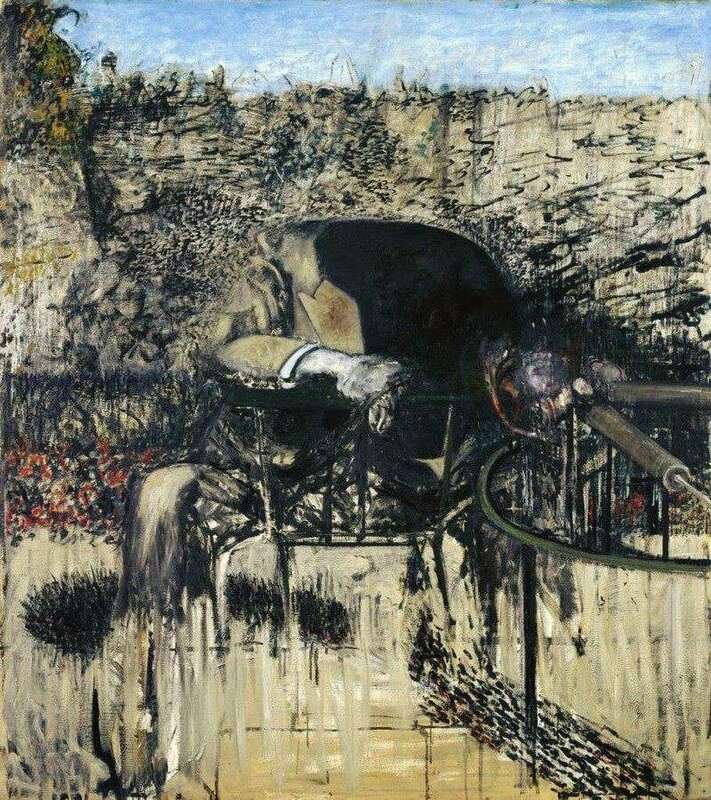 Description and meaning of the painting The figure in the landscape by Francis Bacon.